It was already on our top list for Berlin. And yet this place gets my attention a second time. The Reichstag building. A building that has shaped the history of our country like no other. Those interested in architecture should pay attention, because this place is perfect for discussing all facets of an intelligent and ecological building method. Externally, the political system always stands for democracy and transparency. In this text, I do not want to judge whether this visibility actually reaches the citizen. Architect Norman Foster succeeds in building at least the foundations. The first step into the entrance hall is absolutely impressive. A single step into the building is all it takes to get a first glimpse of the Chamber. The visitors’ gallery extends so far into the hall that one has the privilege of being closer to the speaker’s desk than a large number of Members of Parliament. This is the best way to follow political debates. In this visitors’ gallery we received an excellent lecture on history and, of course, on the events of the day in and around the Chamber. Very informative and wonderfully decorated with small funny anecdotes, the 45 minutes were very interesting and absolutely recommendable. It has also been clarified why there is only one group of 20 politicians present in many debates in which one takes part or which are followed live on TV. Specific topics such as, for example, the law on the security of fertiliser and seed supply are developed and discussed by working groups. Transport experts play a minor role here and are therefore not present. A visit helps to understand the work in Parliament, it helps to understand how politics is made and it opens the eyes to see what opportunities for active or passive participation are open to every citizen, if he or she so wishes. Perhaps one should ask oneself before an election whether one has done everything to understand the process, to influence and change positively, instead of simply giving his voice and person the attribute “protest”. The last stage leads of course to the glass dome. Here too, the issue of transparency has been optimally implemented, as you get an excellent view of the political scene. But with the dome, however, several ecological aspects were also solved. A plenary hall flooded with natural light is provided by 360 funnel-shaped mirrors. The ventilation can also be controlled by a special technology via the dome and thus provides sufficient fresh air without an electronically controlled ventilation system. Finally, of course, a word about the outlook. In the heart of Berlin you can let your gaze wander over the adjoining zoo in a westerly direction or to the television tower in an eastward direction. This 360° view cannot be topped so quickly. 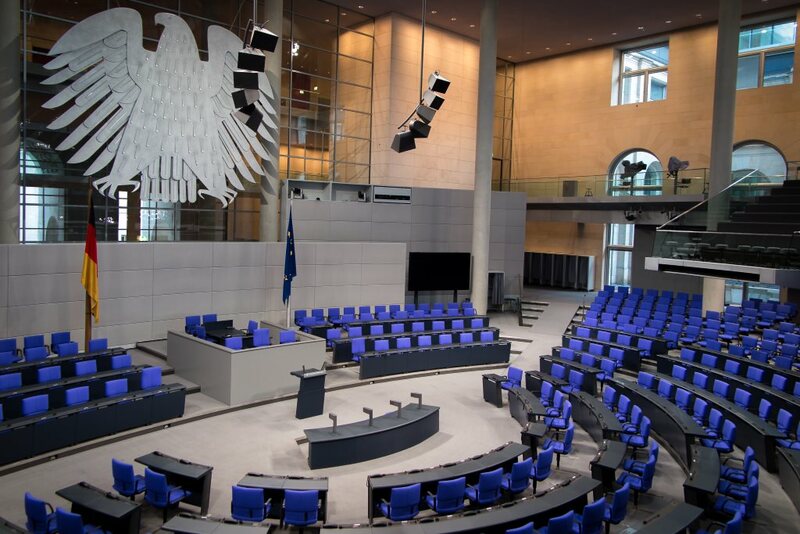 If you would like to round off the day’s political experience in Berlin, you will only be given the opportunity to do so by a stone’s throw from the Reichstag building. Walking through the Brandenburg Gate via Pariser Platz to the “Experience Europe”. A small, very interactive exhibition explains the tasks of the three central EU institutions, including the Commission, the Council and Parliament. 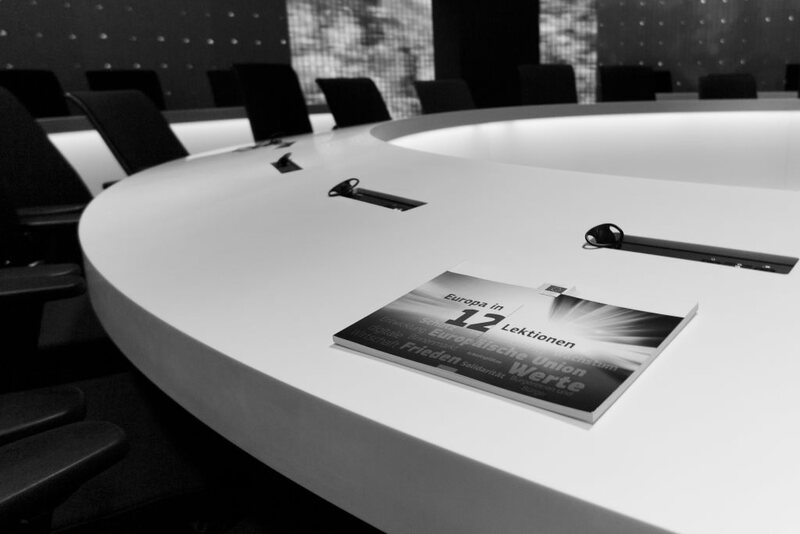 In the small but beautifully decorated 360° cinema, you can take part in a plenary session of the European Parliament or take on the role of a Member of the European Parliament or Commissioner directly at a business game. For political students and teachers! There is a lot of information material to take away. It doesn’t matter whether it’s a coloring book for the kids, legal texts or information flyers. Here you get a wonderful insight into the work of the EU. For all those who attribute little importance to the EU and have little interest in developing it, I would say that European treaties are more important than national laws. Thus, each of our laws that we pass in Germany is influenced by the decisions of the EU. Come and discover Europe in the heart of Berlin. Important information on the "Erlebnis Europa"
Only a few meters away is the last political stage of the day. 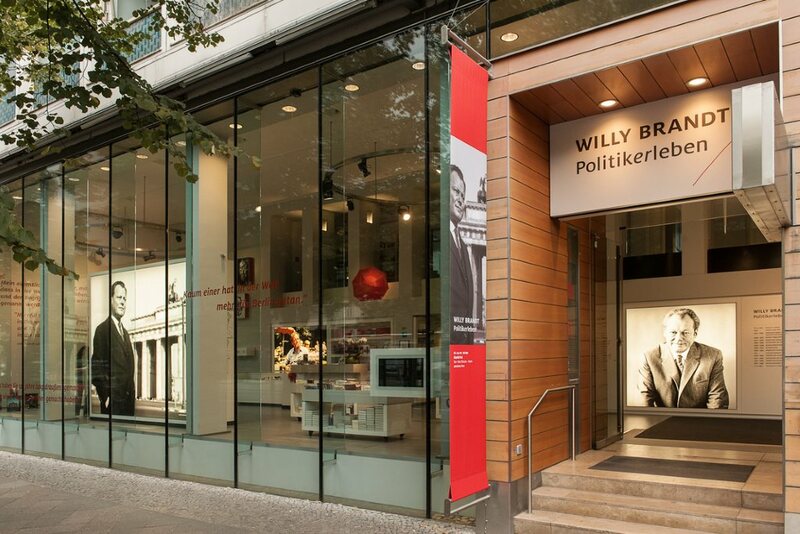 But the Forum Willy Brandt Berlin is about more than the cult of a single person. It is about important developments of the 20th century and how a simple young man from Lübeck influenced the history of an entire country. With a smart card, every visitor can call up the entire multimedia offering in his or her own language and retrieve specific text, audio and video documents. A search game is offered for children to help them experience the topic even more actively. The exhibition about the former mayor of Berlin, chancellor and world-renowned statesman rounds off the story wonderfully and leaves no wish unfulfilled for interested politicians. Opening hours: Tuesday to Sunday: 10-18 o’ clock (also Easter-, Whit Monday, 3.10.) / closed: 24. -26.12., 31.12. and 1.1.